Second Carondelet Avenue, later 13th Street, and now finally DeMenil Place, was once a small exclusive enclave of mostly German and French high society members, including the DeMenil family (#10), and of course the Lemps. 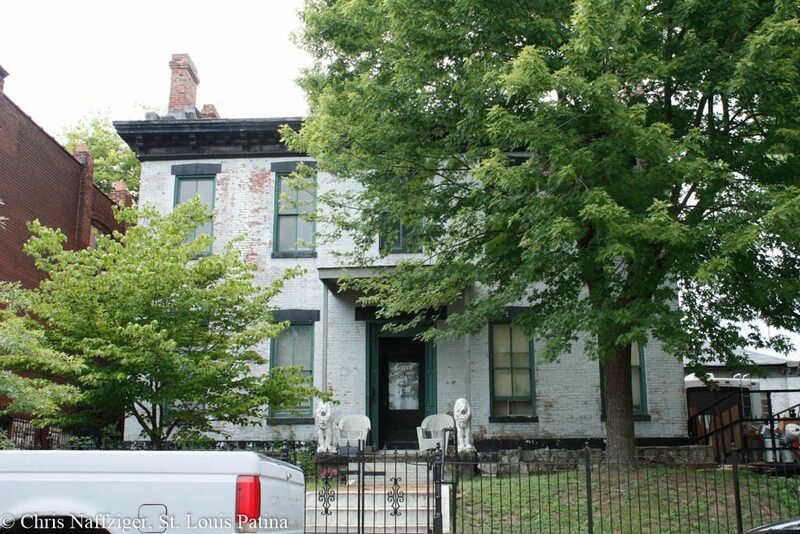 Adam Lemp, and his widow, his third wife Louise Bauer Lemp, lived at what is labeled #4. 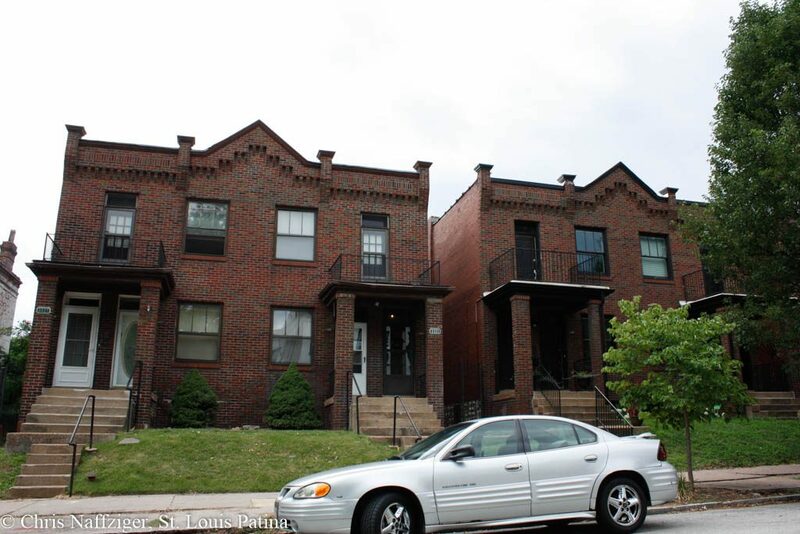 After she died, William (Billy) Lemp Jr. lived there with his wife Lillian Handlan Lemp until their divorce, until he stopped paying rent to the brewery in what was a crude but effective way to get her evicted from his former home. That Italianate villa was torn down sometime in the early Twentieth Century. The house above was owned by Edward Hoppe, and is a typical Italianate country house with a central hallway. Upon closer examination, I realized the front porch is not original to the house. These nice four-family apartments took the place of the former Second Empire pile of J. Beauvais (#6), which was demolished in the early Twentieth Century, as the street became less desirable. 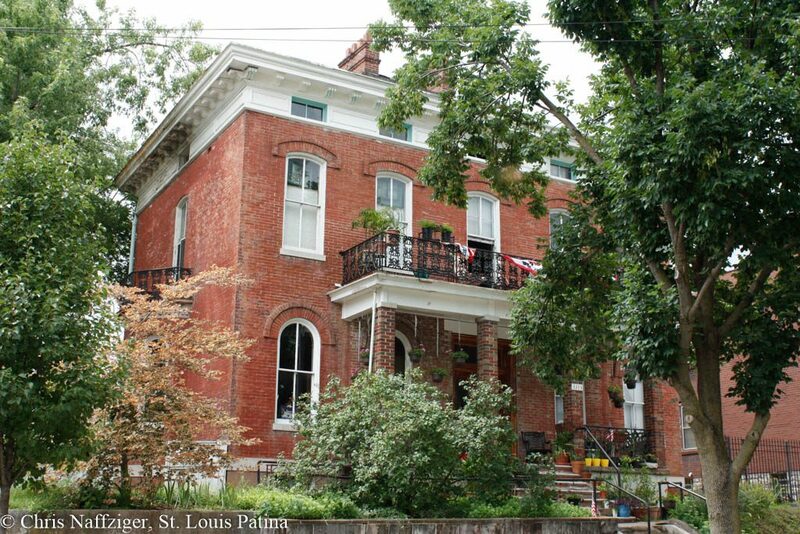 Next, above, is another Italianate central hall Italianate country home, owned by Jacob Kern (#7). 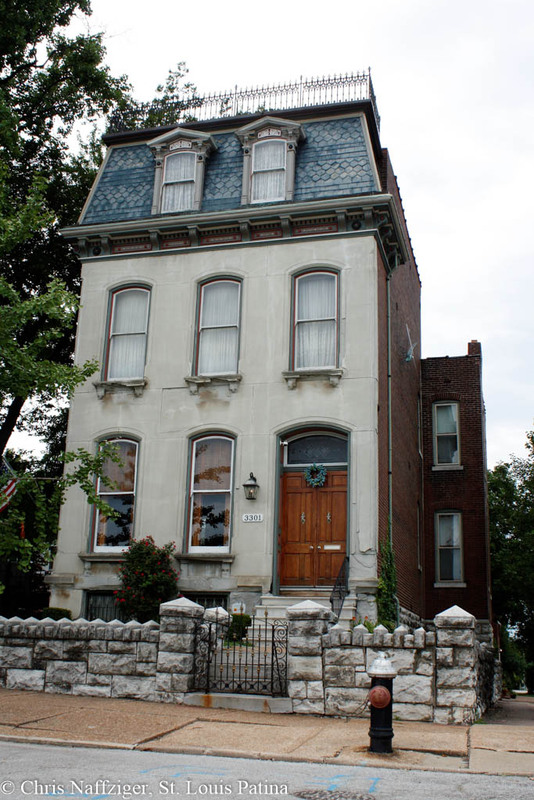 It along with the Hoppe residence, shows a strong similarity to the Jacob Feickert-Lemp Mansion across the street, which is labeled #8. Finally, there is this wonderful Second Empire house, with a stone ashlar front.